Imagine if you spent the time and money to track down about 50 of the top 100 real estate agents in the US, from a career field of about 1,000,000. Imagine that they were at such a level of significance in their lives, that they freely shared their knowledge, experience, and wisdom with you, a total stranger. Imagine that you took this person to a long lunch. Then, after an hour of small talk, you asked them questions about how they succeeded, and you just listened and took notes for another hour. Imagine that someone transcribed their answers from lunch into written answers and you then spent a month reading over hundreds and hundreds of their ideas and answers. Well, that is what happened to me, Steve Kantor, from February 2006 to October 2006 except that 90% of the interviews were over the phone. 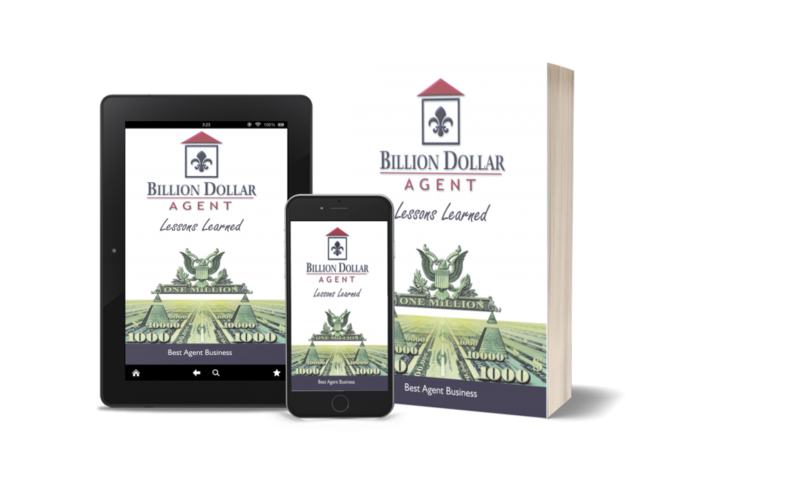 Billion Dollar Agent – Lessons is an attempt to summarize the lessons learned from those Billion Dollar Agent interviews. I invite you to text or call me at 202-297-2393 to further discuss how Billion Dollar Agent can assist you with your business. P.S. You should focus on these areas to grow from $100,000 to $1,000,000 GCI. Think of your business growing in stages from $0-$100k, $100k- $200k, $200k-$500k, and $500k-1M net profit. P.P.S. Please note that net profit has nothing to do with gross commission income (GCI). GCI is sales or revenue of a real estate agent business. You ‘make’ net profit, not GCI. The only number that matters is net profit. To repeat, the only number that matters is net profit.